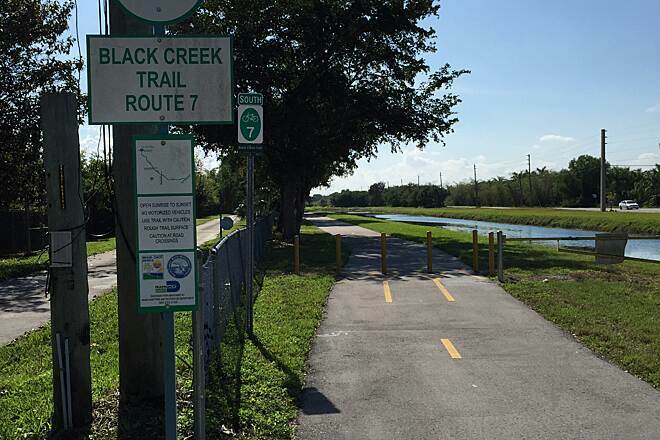 The Black Creek Trail in southwestern Miami-Dade County runs between Black Point Park and Marina and Larry and Penny Thompson Park. 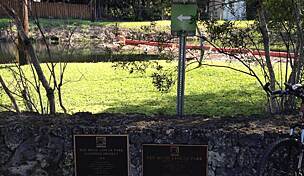 Along the way, it connects to Old Cutler Trail, Biscayne Trail, and the future West Kendall District Park. 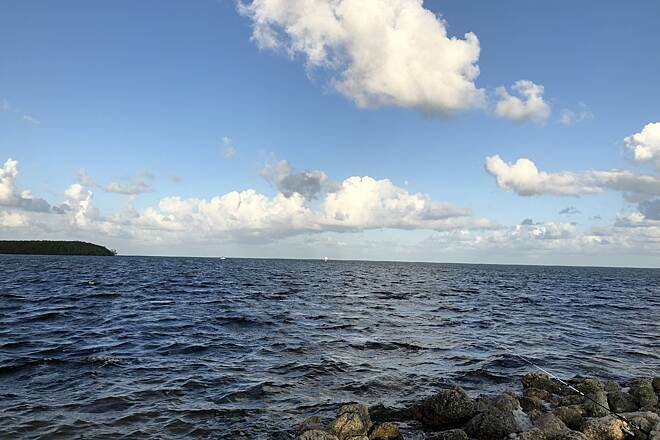 At its southern end, you can look for manatees, alligators, and birds that call the Biscayne Bay home. 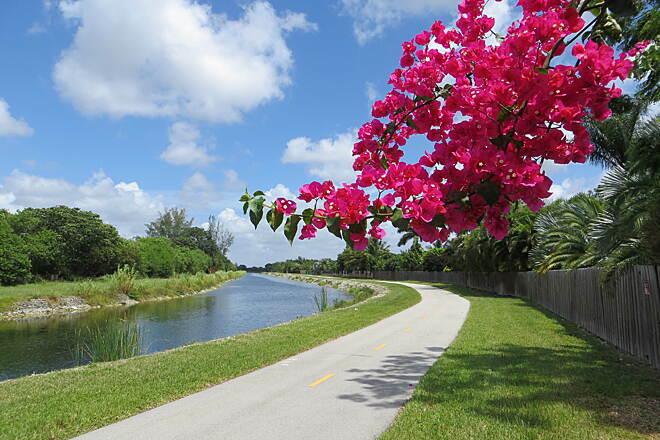 Parking is available at the trail's northern end in Larry and Penny Thompson Park (12451 SW 184 Street). The trail is amazing. 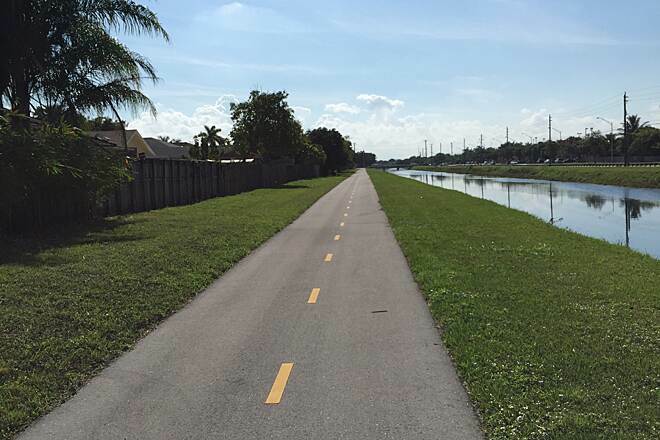 Very smooth compared to the bike trail that runs along US1. There is a foul smelling part as you get closer to Blackpoint Marina, but it is bearable. 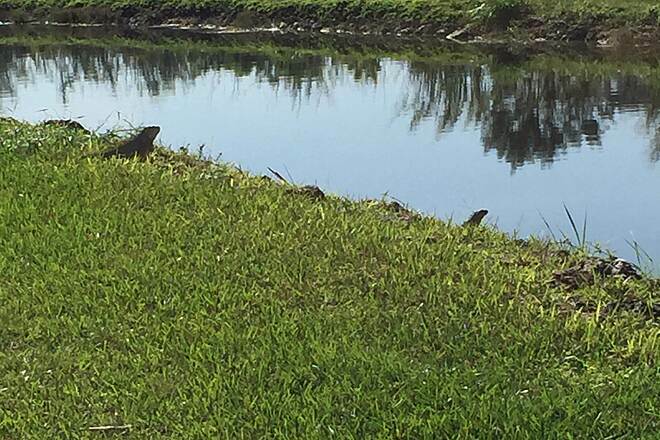 I have seen a lot of Iguanas, especially once you cross Quail roost headed north. Also, where this trail finishes you can go to Larry and Penny Park and ride there. I will say the shadiest part of the trail is when you are approaching US1 from the west side. Had someone try to come up on me, but I am not sweet. Take a knife, or if you have your CCW, you should carry. The only light that works for crossing is the one on 127 ave and 112 ave (Allapattah). CONS: I was worried after reading previous reviews about safety concerns because of the neighborhood the trail goes through. I went in the late morning / early afternoon with my wife and I did not have any problems. 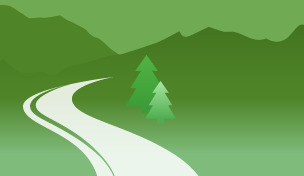 There was an occasional unsavory looking person on the side of the trail but they were nothing but polite. I would never ride this trail alone or at night or without at least a knife on me because I am familiar with the surrounding neighborhoods. I also found it a little unsettling that when I got closer to black point I found multiple bullet casings on the ground from what seemed like a small caliber handgun. My biggest complaint was that out of 3-4 bike crossings you have to go through, none of them had working lights. They looked like they were all ripped off the signs. Be very careful when crossing. The only functioning crosswalk was on US1. My final complaint was having this trail located right next to the dump. The last quarter of the trail will likely be a little smelly and full of vultures. Be mentally prepared. PROS: Despite all my complaints I thoroughly enjoyed this trail and will be riding it again. I enjoyed the view on the second half of the trails. Iguanas, fish, pine preservations. 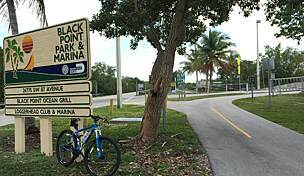 You can use black point as a midpoint if you're coming from the north. It's a great place to relax and have a bite to eat. 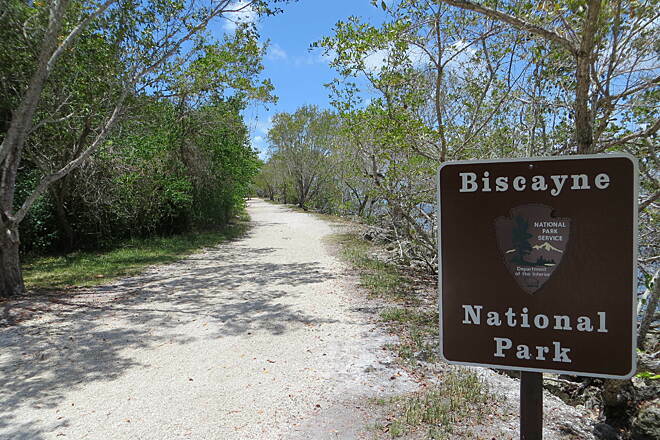 The North end of the trail leads to a nice park with another set of paved and off road trails. Also a nice place for a picnic. During certain parts of the year they have a water park open. I enjoyed that there weren't many people on the trail since I am an amateur bicyclist at this point. Everyone we did come in contact with gave a polite nod, even from the 2-3 locals we saw treating the trail like their back yard. Me and my boyfriend love to exercise and go down the trail. 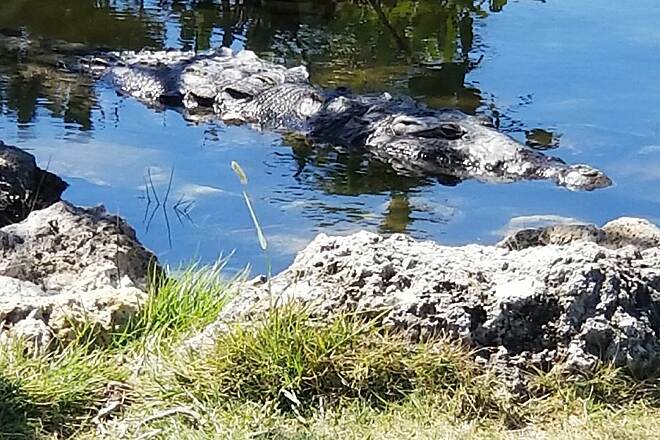 During the week when everyone is at work you'll run into some cool iguanas and different birds.Just please be careful around the bad neighborhoods don't ride too late at night or by yourself,just today we saw a biker get attacked for his bicycle luckily we showed up and scared the no good crooks away.Just bike with a buddy! Nice, easy ride, close to home, all the good things. I made a previous review, before the trail was finished. 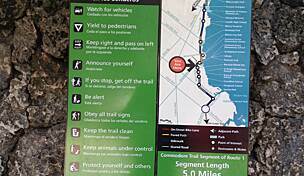 Now ( Oct.25 2013) the trail is finished. It's all paved and painted center devide,etc., electric signals at street (traffic) crossings. It's very nice and neat but it looks very expensive to me. But, what the heck, it's the "governement" paying for it, not me. I am surprised that the traffic really stops when you activate the "crossing" signal, as this is not a Stop but caution to the drivers. My wife and I have being enjoying this trail for quite a while now. 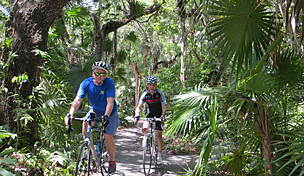 We really appreciate it but we don't see many people each time we ride, just 2 to 4, once in a while. Maybe it will get more popular, in time. There are some dogs barking from backyards, but no harm. An Iguana, a duck, or some transient, wild and interesting birds. The canal was full to the top and it looks beautiful. It is a joy indeed. 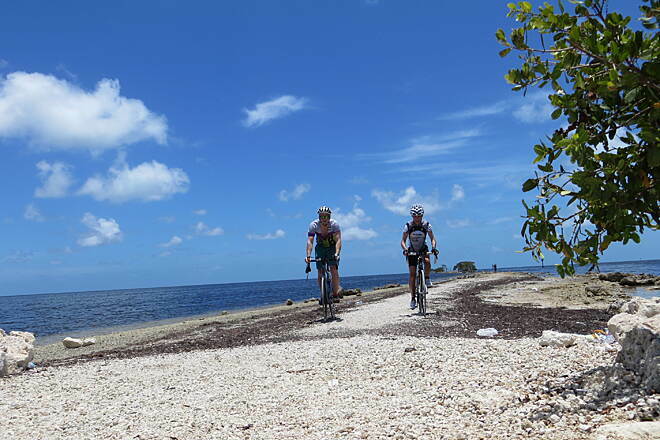 The trail connects to a much more extensive ride, as far as the Black Point Marina, by Biscayne Bay. Which is a very interesting place. Boats putting in and out all day, with its attendant human erros and activities. There is a restauring right there too. Kind of bussy on weekends but, it's too long a trip for me and my wife. Four stars because there os much nature around to see. 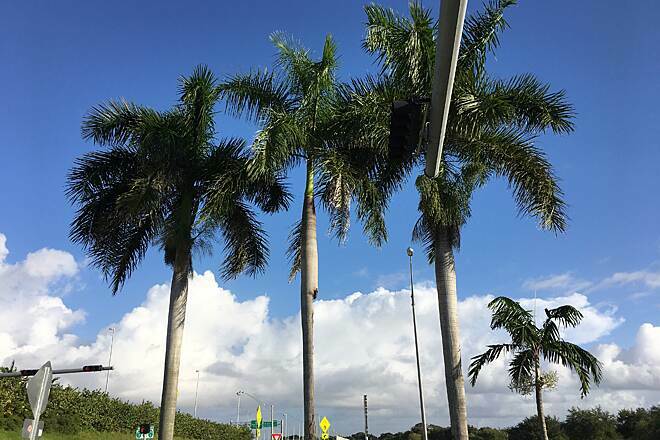 But it's all green and full of Florida sunshine! I really can't recommend this ride, at least not at this time. The first few miles, from 184th St. almost to US 1 was nice. 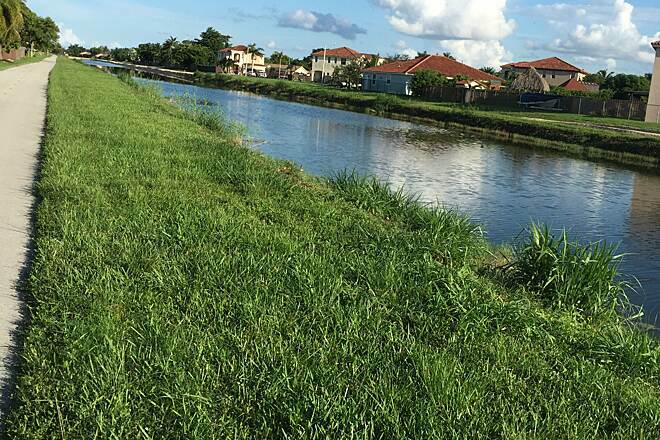 Paved path along a canal behind a nice neighborhood. We saw some cool birds and iguanas and lots of dogs enjoying their fenced back yards. Then the area got seedier and the canal was full of garbage. 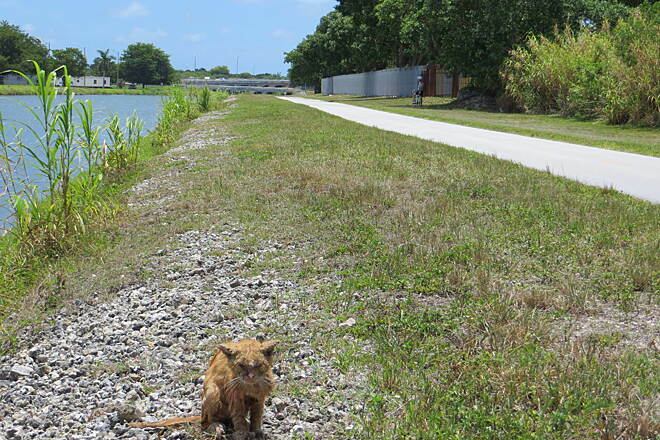 And then the path ended on a busway near US 1 with absolutely no signage on where to go next. The roads in that area are currently under construction so maybe the signs were removed. I don't know. 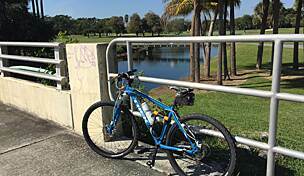 But I do know that this is not a good neighborhood in Miami to be lost on a bicycle. We stopped and showed our map to a police officer and she told us she didn't think a path all the way to Black Point Marina existed. She also said that it wasn't a safe neighborhood for us to be biking in. 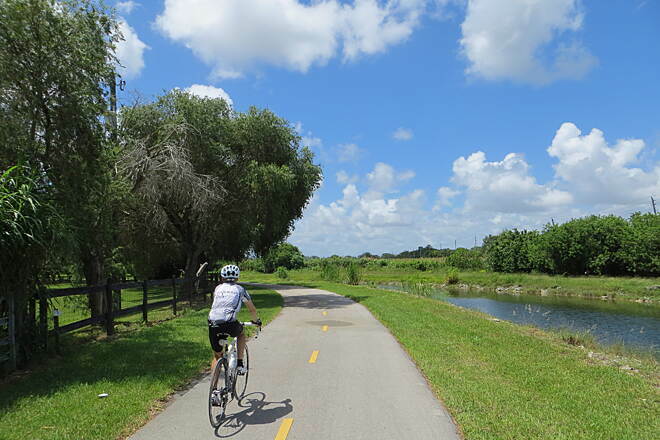 We rode around for awhile and finally found a path along the canal again, but once again, in less than a mile, it dropped us on a busy road near the Turnpike with no signs on which way to go. And again, NOT a good neighborhood. I really didn't appreciate being dumped in a bad neighborhood, in a heavy traffic area, with no signs showing the way to the rest of the path. So this is fair warning for anyone thinking about trying this path. I wish we had known before we went. 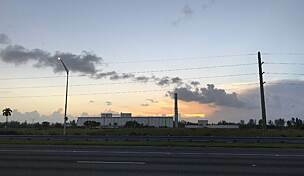 From Eureka Drive (SW `184th Street) South to South Dixie Hwy. and SW 211th St. It's all a wide asphalted path. You cross only two streets with traffic in the whole trip. The bicycle access barrier is still closed, as of this date (Feb. 10th 2013)in the section from 200th Street to 127th Ave. (these are the streets with car traffic) but you can go under the barrier. 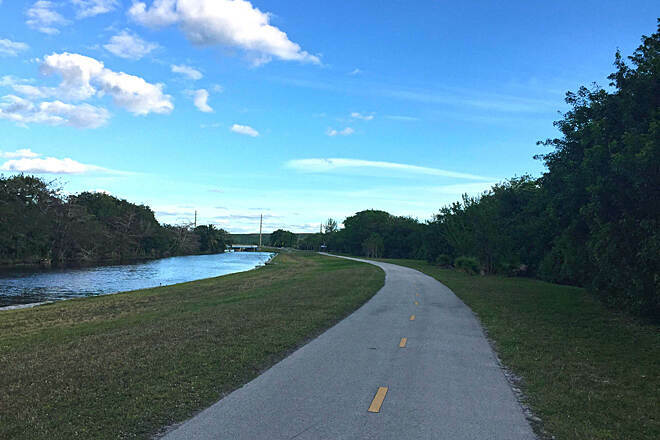 Or you can take the West side of canal for this section, which is narrow asphalt and deteriorated but ride-able and then retake the East side for the rest of the way. 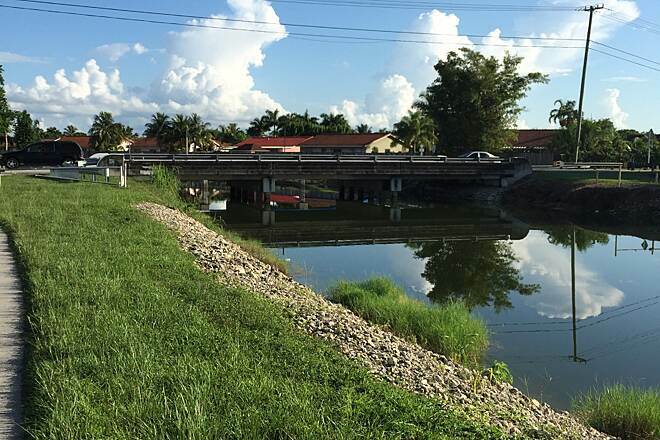 You will be riding at the back of all these houses which is mostly (99%) agreeable, great for family, exercise.There are several accesses to some of these neighborhoods. 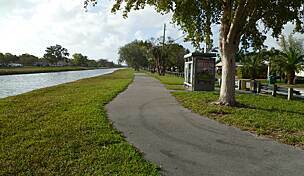 Arrive at South Dixie Hwy and the exclusive use Busway which runs parallel to it and bike path also. It now runs, it seems many miles North and South. Now you are at, the now being built, Wal-Mart store, Southland Mall and South Dade Gvt. 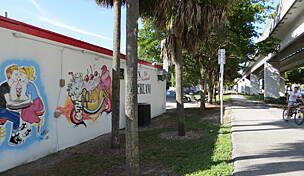 Center, Pulic Library and South Miami-Dade Cultural Arts Center.